Many Earth observation satellites make use of an added ingredient to ensure reliable, good quality environmental data: the Moon. While the surface of the Earth is ever changing, the face of the Moon has stayed the same for millions of years, apart from occasional meteoroid impacts. This makes the light reflecting from the lunar surface an ideal calibration source for optical Earth-observing instruments. Now an ESA-led project has plans to make it more useful still. An instrument has been placed high on the slopes of Mount Teide in Tenerife, above the majority of clouds and airborne dust, designed to measure nightly variations in moonlight, to hone the accuracy of lunar calibration efforts in future. 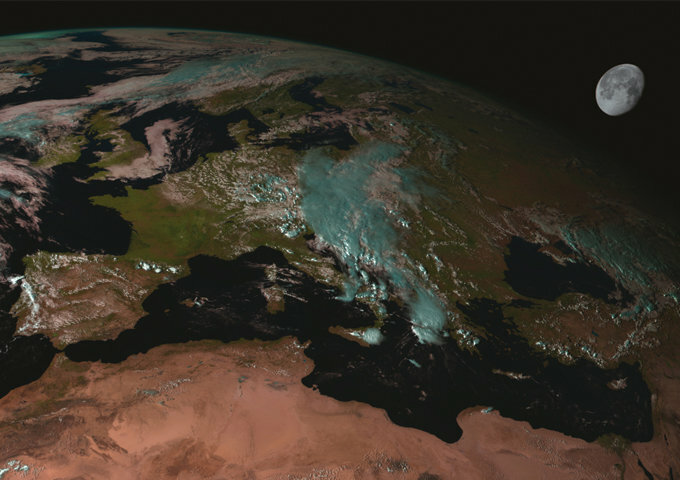 “Space agencies across the globe use the Moon to assess and monitor the calibration of optical Earth observation instruments,” explains Marc Bouvet, overseeing the project for ESA. “These instruments are carefully calibrated before launch, but in space their performance can gradually drift, due to radiation or lens contamination for instance, or mechanical changes.